After tonight's game, both Conference Finals will be set, but don't miss any of the action of game 7 between the Anaheim Ducks and LA Kings!! 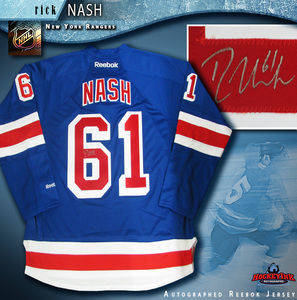 Visit NHL Auctions and bid on signed items from your favorite players from both teams!! 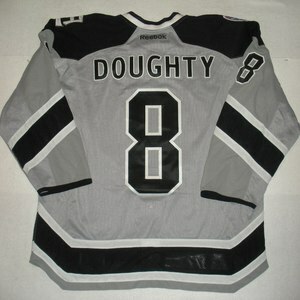 Whether you are a fan of Jonathan Quick, Ryan Getzlaf, Drew Doughty or Corey Perry, NHL Auctions has you covered!! Thought you missed out on your chance to own a game worn 2014 NHL Winter Classic Jersey? 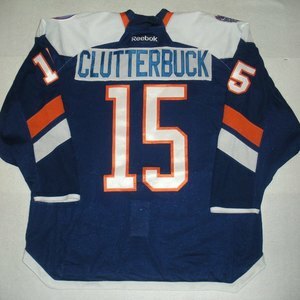 Well, you are in luck because NHL Auctions is now offering you a chance to own of a part of history. 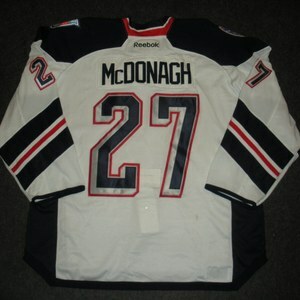 Due to other obligations, these jersey were initially unavailable when the team's first period set was auctioned. But it can now be offered to enhance your 2014 Stadium Series Game-Worn Jersey Collection. Whether you are a fan of the Blackhawks, Penguins, Rangers, Islanders, Devils, Ducks or Kings, we have these unique jerseys. 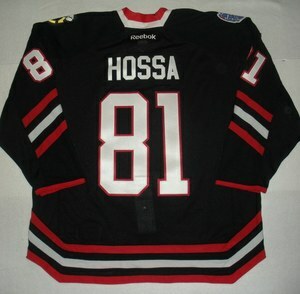 Players such as Evgeni Malkin, Marian Hossa, Adam Henrique, Jeff Carter and More!! Bid Now before its too late!! Round 1 of the 2014 NHL Stanley Cup Playoffs is full swing and NHL Auctions can help you cheer for your favorite team. 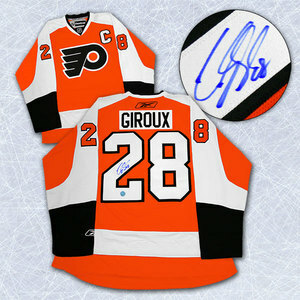 Bid now on jerseys, pucks, photos and more from the league's biggest stars. 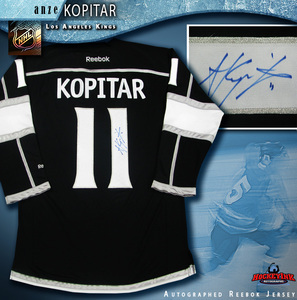 We have items from all teams including the Stars, Blackhawks, Kings, Red Wings and more!! 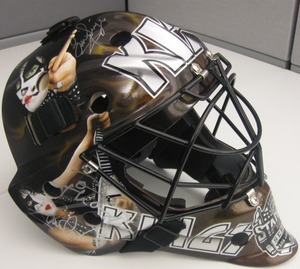 Bid Now on the 1st of 4 Custom Pained KISS Goalie Masks created to commemorate the 2014 NHL Stadium Series!! Each Mask Signed By Members of the band!! Bid Now Before they are gone!! All proceeds to benefit Anaheim Ducks Foundation and Kings Care Foundation. Anaheim Ducks Signed Sticks and Pucks for Charity!! 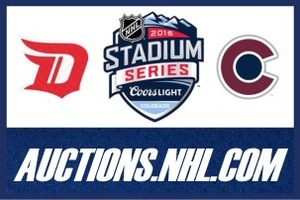 NHL Auctions and the Anaheim Ducks are offering you the chance to bid on signed sticks, pucks, jersey and other unique experiences!! Not only are you bidding on great items, you are helping the Anaheim Ducks Foundation. NHL Auctions and the Anaheim Ducks are giving you the chance to bid on warm-up used camouflage jerseys!! Choose from jerseys worn by Teemu Selanne, Jonas Hiller, Ryan Getzlaf, Aaron Voros and more!! Proceeds benefit Operation Homefront and the Green Beret Foundation!! Teemu Selanne 600th Goal Memorabilia!! NHL Auctions and the Anaheim Ducks are giving you the chance to bid on memorabilia commemorating Teemu Selanne's 600th career goal!! Choose from a Selanne signed jersey, Selanne signed and framed photo and four signed pucks from different Ducks players!! Proceeds benefit the Anaheim Ducks Foundation!! 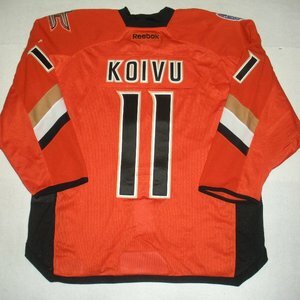 Anaheim Ducks Veterans Day Jersey Auctions!! NHL Auctions and the Anaheim Ducks are giving you the chance to bid on Veterans Day jerseys worn and signed by the Anaheim Ducks!! 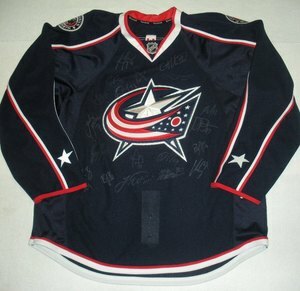 Choose from jerseys worn and signed by Saku Koivu, Bobby Ryan, Mike Brown, Ryan Whitney and more!! NHL Auctions and the MeiGray Group are giving you the chance to bid on game-worn jerseys from the Mighty Ducks of Anaheim, Philadelphia Flyers, Toronto Maple Leafs and Boston Bruins! 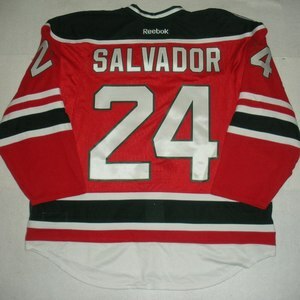 Choose from jerseys worn by Martin Skoula, Mike Rathje, Andrew Raycroft, Pavel Kubina and more!! 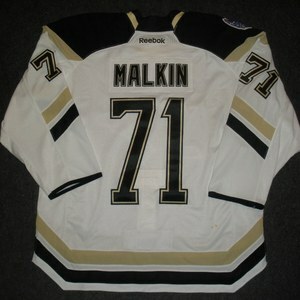 Continue to Gear up for the Playoffs at NHL Auctions!! The NHL Playoffs are in full swing and NHL Auctions has all the memorabilia and collectibles to keep you caught up in the excitement!! Bid now on auctions featuring the 2009 Playoffs' hottest stars!! Choose from collectibles featuring Alex Ovechkin, Sidney Crosby, Patrick Kane, Roberto Luongo, Ryan Getzlaf, Pavel Datsyuk, Eric Staal, Zdeno Chara and more! !